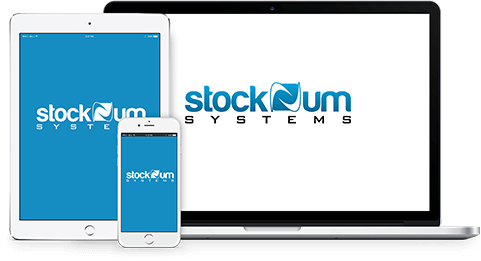 Cyber Security Solutions for Automotive Dealerships - stockNum Systems, Inc. Branded under our wholly-owned subsidiary, AutoCorner, LLC., we provide turnkey automotive website hosting and marketing services for independent used car dealerships. Whenever a car dealership collects confidential consumer financial information, it could be considered a financial institution and would be bound by the regulations in the Graham Leach-Bliley Act (GLBA). Consumers have a reasonable expectation that the dealership will protect their sensitive information. Fines of over $1 million US can be imposed upon companies that violate GLBA. Do not let this happen to your dealership. Additionally, the Payment Card Industry’s Data Security Standard (PCI-DSS) holds auto dealerships financially responsible for the loss of a customer's Personal Identifiable Information (PII). Violators can be fined tens of thousands of US dollars per infraction and risk losing their ability to process credit card payments in the future. Many of those in the automotive retail industry, especially the small independent used car dealerships, feel they are not a big enough target for hackers to target. On the contrary, criminals regularly attack smaller companies as they find those easy pray. Think of it this way. If the thief can steal 1,500 customers identities from 20 car dealers in a single afternoon and repeat this process every day that is nearly a million identities they can steal every month. Many times these smaller companies have weak or even non-existent cyber security threat mitigation measures in place, leaving them as easy pickings for these organized criminals. These crooks also know that few, if any, of these smaller dealers, have proper audit logs in place. With no audit logs, it is nearly impossible to know your customer’s confidential information was stolen and no way to track down and prosecute the thieves. How much private customer data does a car dealership store? Every credit app that comes in has a consumer’s social security number, mailing address, driver’s license, family contacts, date of birth, names of banks they customer uses and more. Then you layer on top of that bills of sale, Buy Here Pay Here (BHPH) weekly payment information, down payment transactions, credit card numbers, ACH account number and routing number, and the list goes on and on. Not only do you have a moral obligation to protect your customers, but you also have a real threat of civil lawsuits or criminal arrest. Many States have recently passed, or are in the processes of passing new legislation that puts severe criminal and civil penalties upon the business owner for loss of customer data. Add to this the loss of business reputation in the community, and you can see that being lazy about your customer data is foolish. Do not worry, stockNum Systems mitigates most of the cyber security concerns for car dealerships that use our flagship AutoCorner Dealer Management and Marketing Platform. We provide all AutoCorner powered dealerships with multiple security protections that start on the edge of the internet. Websites are first protected using DNSSEC a security protocol that preserves the integrity of the website’s DNS records. Think of DNS records as your entry in the yellow pages: preventing thieves from hijacking your website and directing your customers to an unsafe site controlled by them. Websites are then protected using advanced Distributed Denial of Service (DDoS) and Web Application Firewall (WAF) technologies powered by CloudFlare. These mitigation techniques prevent most hacking attempts from ever hitting our network and protects the dealer’s websites from most “script-kiddie” attacks. Every day thousands of car dealerships trust us to provide secure hosting, storage, and carefully controlled user access to credit applications and customer data. In the past 24 hours, we have blocked over 730 hacking attempts against the AutoCorner System. Once traffic is determined to be safe CloudFlare passes the car buyer web surfer to our multi-backbone redundant data centers powered by Rackspace and Amazon Web Services (AWS). We have additional DDoS mitigation directly at our datacenter, just in case someone makes it past CloudFlare’s network. Traffic is mirrored and processed through our hardware Intrusion Detection System (IDS) and audit log systems, maintaining full Payment Card Industry Data Security Standard (PCI DSS) compliance. Car dealer website traffic is fully encrypted starting at the websurfer’s web browser, through CloudFlare, and to our the destination web servers using TLS (https/SSL) encryption and in the past 24 hours, we have served over 4,542,189 SSL/TLS secure requests on the AutoCorner System. Our system processes over 2.7 million vehicle listings per day across our network of dealers and data partners. PCI Compliant merchant processing services geared to the unique needs of used car dealers. In 2015, 780 data security breaches accounted for 177,866,236 personal records being exposed—one person every six seconds. In 2016, the number of hacks increased by 38%, according to RevisionLegal.com. Reduce your risk of exposure to hackers and data thieves by using stockNum Systems for your used automotive dealerships. The AutoCorner System is a proven and powerful dealership inventory and website management system for car lots looking to establish or improve their website presence without breaking the bank.